Chicken legs are a great cut of meat. They’re fun to eat if you’re willing to get your fingers messy, because they have a built-in handle! How’s that for real food? You can also season your chicken legs so many different ways: simple herbs, citrus, sticky glazes, Asian flavors, and so many other options. 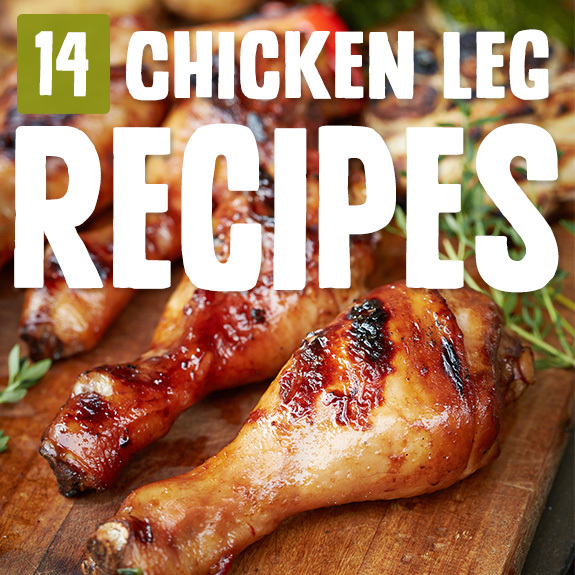 So take a look at these Paleo chicken leg recipes and give some of them a try. I bet you’ll find a new family favorite! 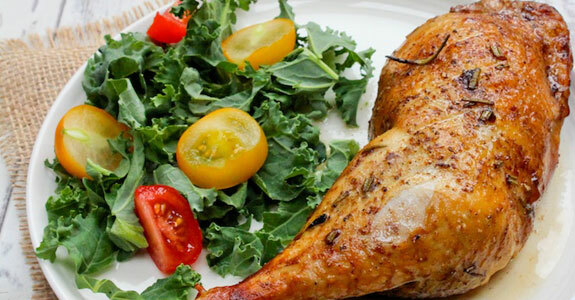 Because this chicken is flavorful without being too spicy, it’s great for families with kids. The skin gets crispy and delicious, and this dish is so easy to make that it’s perfect for busy weeknights. Enjoy the paprika rub with thyme, onion powder, cracked rosemary, and garlic powder. 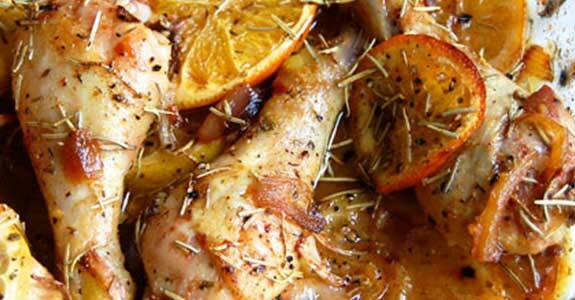 When you’ve got chicken legs on hand be sure to consider this citrus and herb chicken recipe. It’s super easy to get it into the oven and from there it’s all downhill. 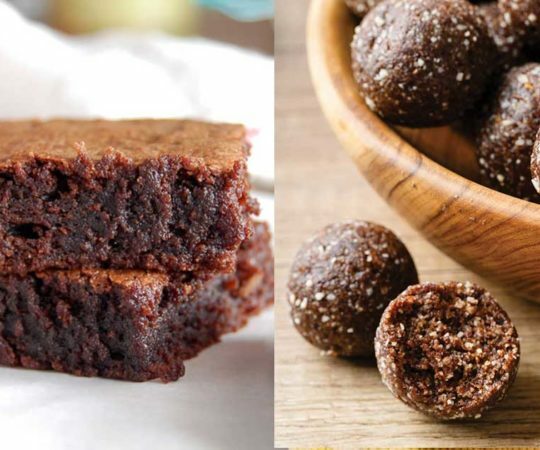 The surprising thing is that they taste so good you’d never guess they’re easy to make. This chicken has a fun, spicy flavor with cumin, allspice, nutmeg, cinnamon, and freshly ground black pepper. 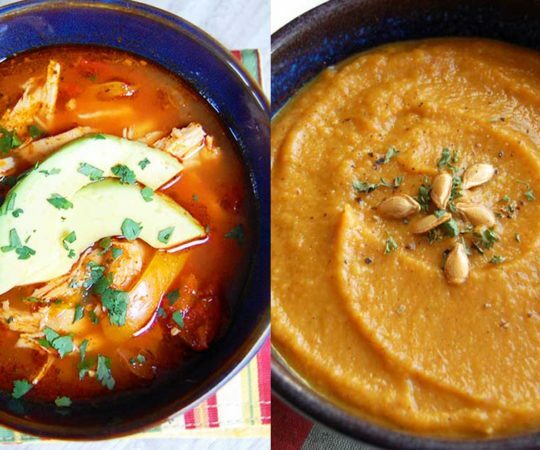 You’ll serve it up with baby potatoes, carrots, and shallots to make a full meal that’s buttery, seasoned, and totally delicious as well as rich in protein and vitamins. These chicken legs are cooked in coconut oil with guajillo chili powder, red bell pepper, onion, garlic, and jalapeno. They’re essentially self-saucing, too, which means that you throw all the ingredients in the pan and as the chicken cooks, it’ll make its own tasty sauce. Sundried tomatoes are my favorite form of tomatoes because they’re all caramelized and sweet instead of acidic. Slow roast some chicken with sundried tomatoes, various mushrooms, onion, garlic, red wine, honey, and balsamic vinegar for a flavorful dinner. This full meal is so heavenly, but is actually really simple to make—both by way of its process and its ingredient list. Besides the chicken and Brussels sprouts, you’ll just need coconut oil, garlic, salt, pepper, olive oil, lemon juice, and chicken stock. The cheese garnish is optional. This easy glazed grilled chicken has a tangy flavor from the balsamic marinade with mustard, fresh rosemary, garlic, olive oil, balsamic vinegar, salt, and pepper. Because the chicken only needs to marinate for 30 minutes, you’re only an hour away from a fantastic meal. These chicken legs have a crispy outer layer that’s well seasoned with Italian herbs, onion powder, garlic powder, smoked paprika, white pepper, and cayenne pepper. 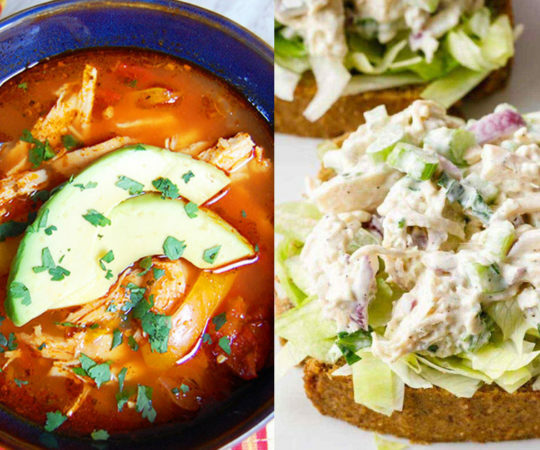 If you like things hotter or milder, feel free to adjust the amount of cayenne pepper to suit your tastes. 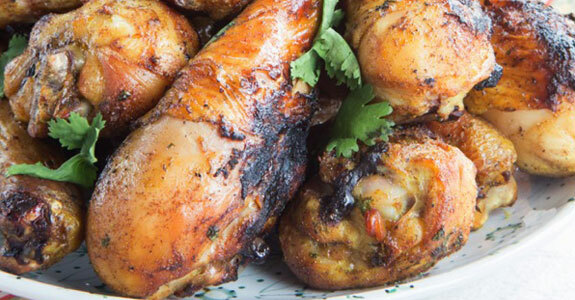 Here’s another take on balsamic chicken legs, and this one uses olive oil, shallots, garlic, salt, pepper, and dried Italian seasoning or basil. 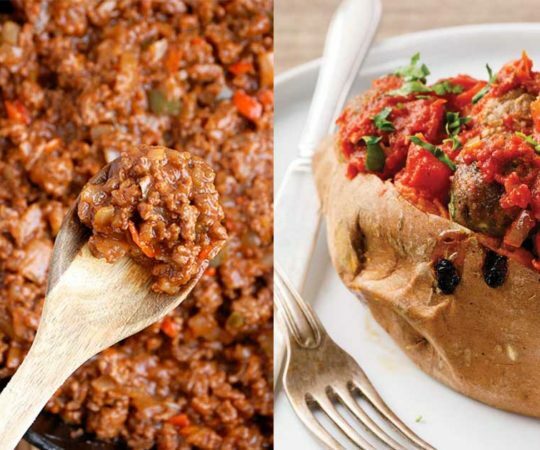 I’d serve these up with a nice dark green salad and maybe a dish of mashed sweet potatoes for a simple and comforting meal. These chicken legs are so fragrant with Indian spices like cardamom, turmeric, cumin, cinnamon, and dried ginger. Coconut milk and lime added to the marinade give them an awesome glazey coating. 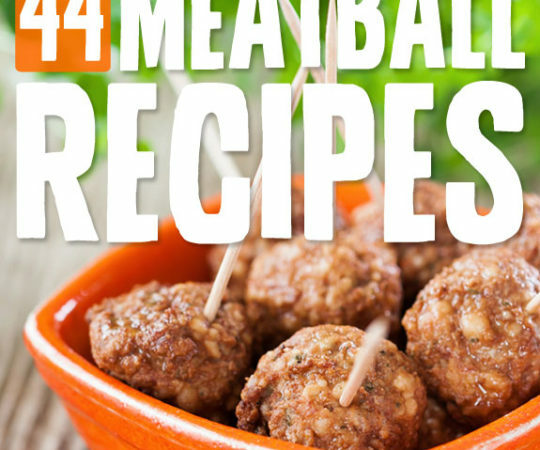 You could serve these with cauliflower rice or vegetables. 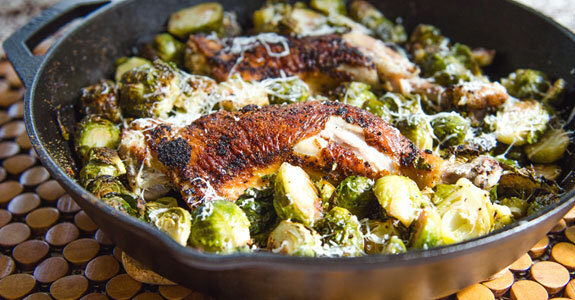 This chicken is made with a super-simple recipe in which mild seasonings allow the natural flavors of the meat to really shine through. Fresh sage and leek with lemon are lovely, but my favorite part of this recipe is the butter. I love how buttery and delicious this chicken is! These chicken legs have a truly awesome flavor. The hot spiciness of the sriracha coating is balanced out by the sweetness of the honey, making a sticky, sweet, and spicy glaze that covers these chicken legs and makes every bite absolutely irresistible. If you’re serving them to kids, you might try replacing a little of the sriracha with more honey to make them less spicy. This yummy chicken is made with ramps, garlic, ginger, French breakfast radishes, honey, sriracha, curry powder, ground pepper, cayenne pepper, olive oil, and coconut aminos (to replace the soy sauce). These legs have such a unique flavor! Balsamic vinegar is a new favorite ingredient of mine, for its ability to infuse anything you add it to with a deeply savory tartness. So I’m pretty excited about these chicken legs! 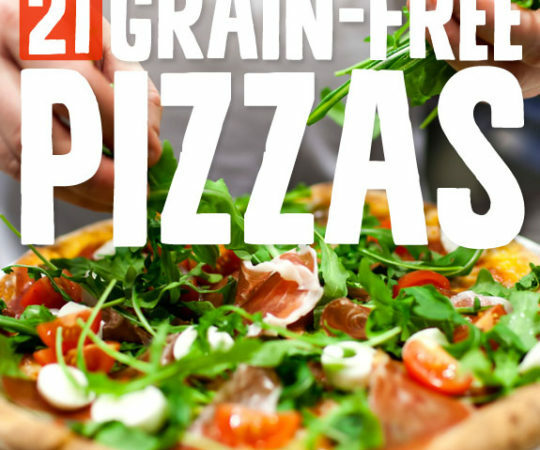 You’ll make them with garlic-infused olive oil, balsamic vinegar, mustard, maple syrup, and freshly chopped rosemary.